Herend fine china 20524-0-00 NY – Dinner / Meat Plate. The Nyon design represents the Morning Glory flowers. 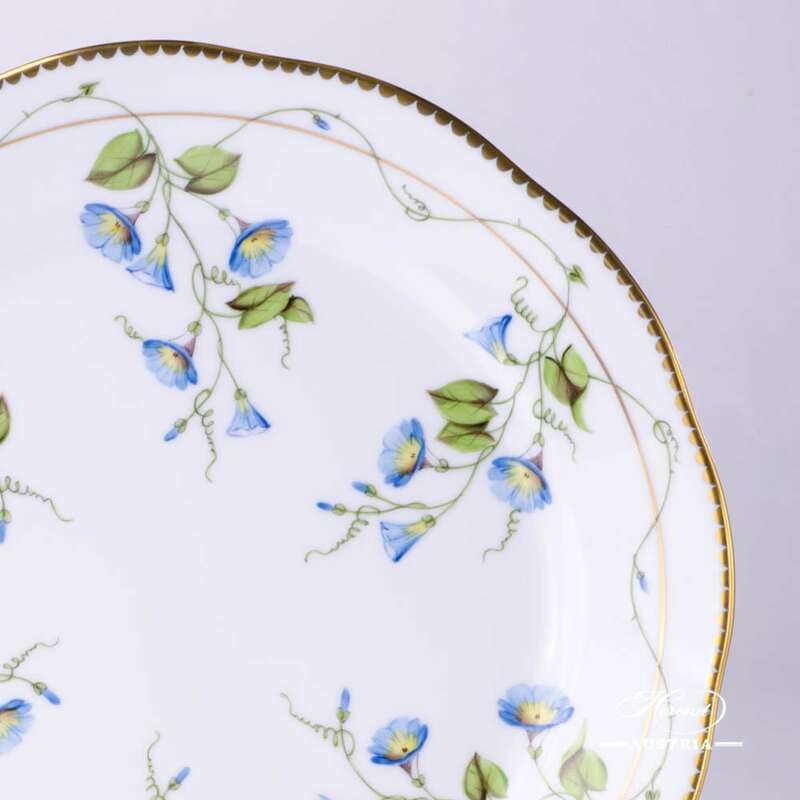 Nyon is a classical Herend flower design. 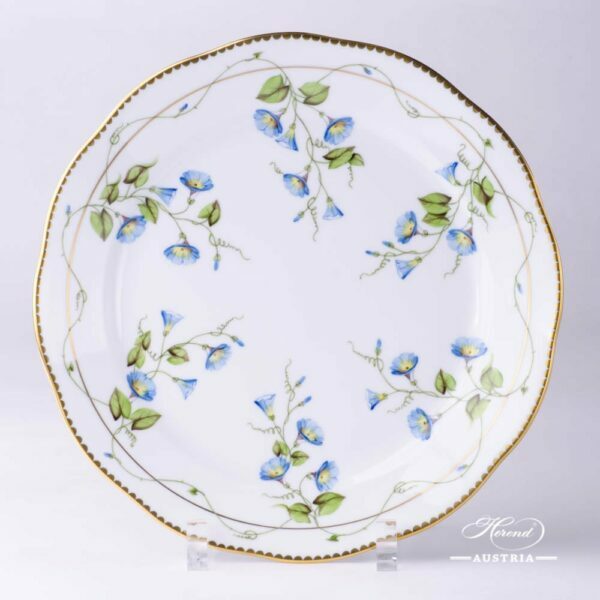 Herend fine china Dinner / Meat Plate – Herend Nyon / Morning Glory design. Nyon pattern is available in Tea, Coffee, Espresso and Dinner Sets too. Dinner Plate - 524-0-00 RO-ETB - Rothschild Bird Blue Fish Scale decor. Traditional Rothschild Bird decor, ordered by the famous Rothschild family from the Manufactory of Herend. 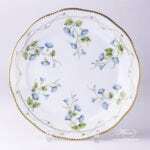 Universal Herend Dinner Plate for daily usage. Herend fine china 4247-0-00 NY - Tea Cup and Saucer. It is an unique porcelain shape (form) is available only for Tea and Coffee Sets. 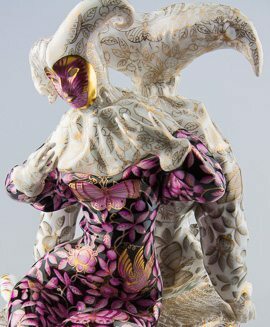 Nyon is a classical Herend flower design. Give aesthetics as a gift! Flower Garland with Pink Fish-Scale Dinner Plate - 524-0-00 LTBS-EPH - Herend Porcelain This Herend Porcelain Dinner or Meat Plate painted with Liechtenstein Decor. Flower Garland Decor can be ordered without fish-scale too. This Flower Garland Decor is available Tea, Coffee, Mocha and Dinner Set too. The Flower Garland with Pink fish-scale pattern only by Master Painter will be painted! Miramare Dinner Plate - 2524-0-00 MR - Herend Porcelain This Miramare Decor is painted with Cobalt-Blue colour and rich Gilded. The Habsburg Family owned the Castle Miramare that time in Italy. This Miramare (MR) Decor is available Tea, Coffee, Mocha and Dinner Set too. Dinner Plate - Rothschild Bird Green Fish Scale RO-ETV decor. Traditional Bird design, ordered by the famous Rothschild family from the Manufactory of Herend. Dinner Plate RO-ETV for daily usage.